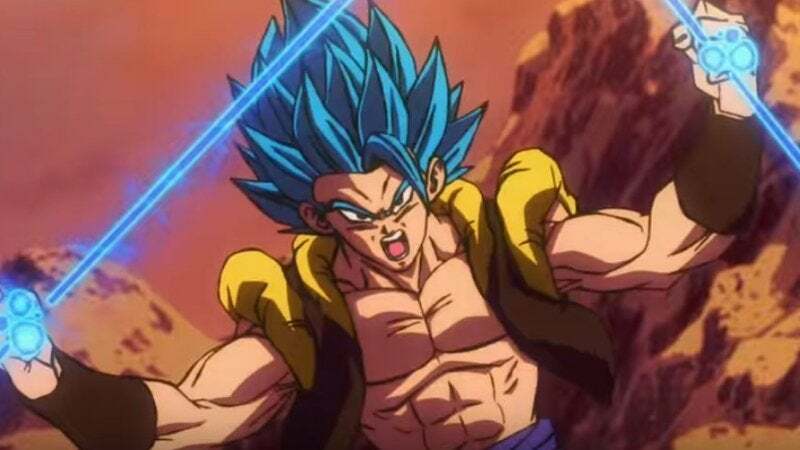 How Does 'Dragon Ball Super: Broly' Expand the Anime's Canon? How, exactly, does Dragon Ball Super: Broly expand the anime's official canon? There are quite a few pieces to that answer, it turns out, and we've broken them down for you, below! Freeza and his army the Freeza Force have been part of Dragon Ball ever since the early days of Dragon Ball Z, but in Dragon Ball Super: Broly we actually get to see a pivotal moment in the group's formation. 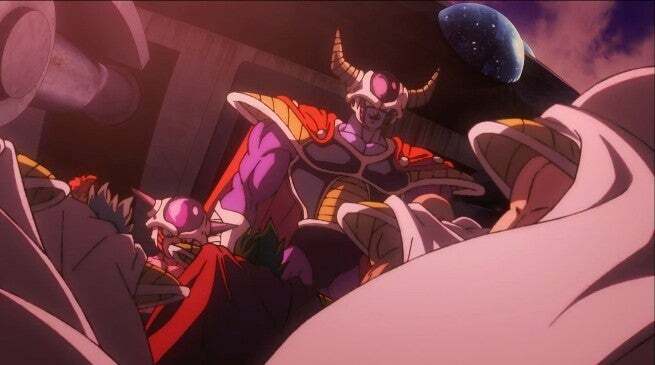 Broly chronicles the moment when King Cold first handed over his forces to his son, Freeza - including rule over the Saiyan race and their homeworld, Planet Vegeta. 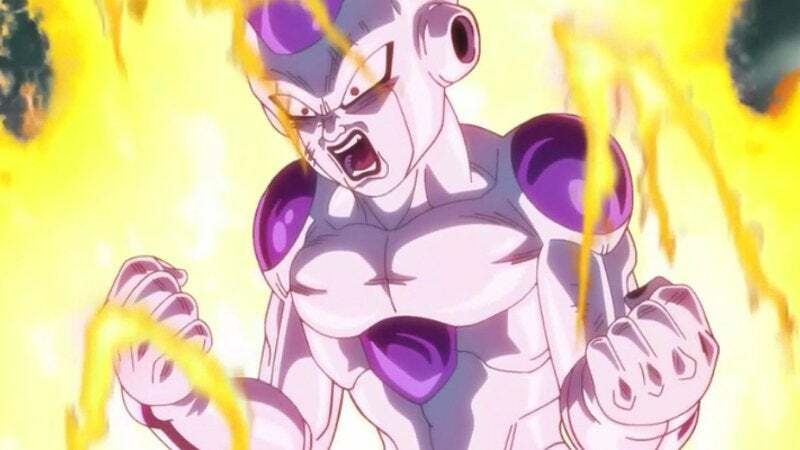 The sequence is notable in that it reveals a new "Young Freeza" design, and chronicles the origin of the power level scouters that became Freeza Force signatures in Dragon Ball Z. We've known that Vegeta is the Prince of Saiyans ever since his introduction in Dragon Ball Z. However, what Dragon Ball Super: Broly reveals is that there's more to Vegeta's name than we knew before. 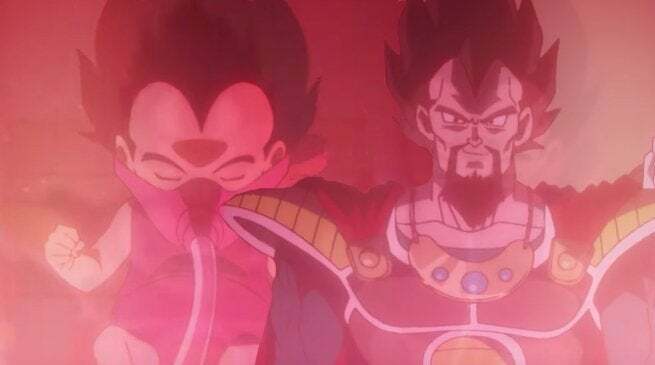 As it turns out, King Vegeta is actually "King Vegeta III," making his son "Vegeta IV." The royal line is of utmost importance to the story of Broly, as the difference in power levels between the king's son and Broly pushes King Vegeta III to exile Broly, starting a rivalry that spills into the adult lives of Vegeta IV and Broly. One of the biggest things Dragon Ball Super: Broly does is pave over the origin stories of Goku and Vegeta with a new path established by the Dragon Ball Minus bonus story from the manga. Minus basically retcons the Goku origin story, giving it a heavy Superman vibe. Goku's father Bardock is a low-level warrior who realizes that the end of his planet is coming; Bardock and his wife Gine decide to save their young son Kakarot by blasting him offworld in a space pod; they send him to a planet with primitive power levels and tech, where Kakarot can thrive; Planet Vegeta is eradicated by Freeza's Supernova blast, with Bardock caught in its path. In addition to changing Goku's age when he left Planet Vegeta, and giving him a mother, Minus also revealed how a young Vegeta survived his planet's destruction, while also bonding with his future henchman Nappa, and Goku's brother, Raditz. Thanks to Dragon Ball Super: Broly, all of that is now official backstory. 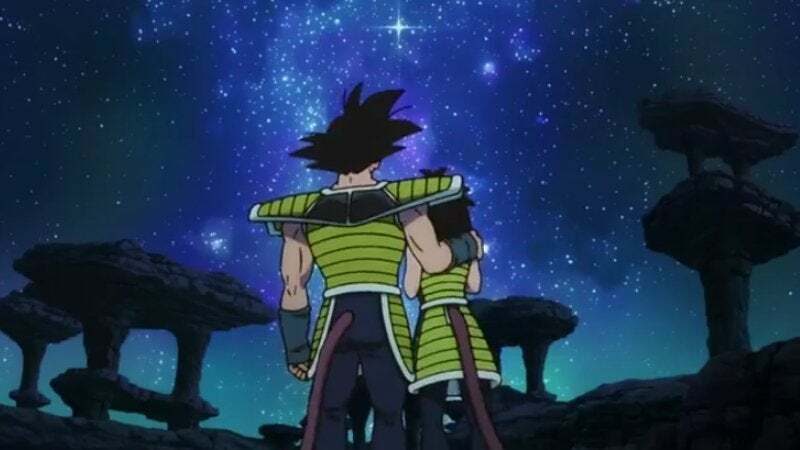 As stated, one part of Dragon Ball Minus that Dragon Ball Super: Broly adapts, is the brief scene where it's revealed that Prince Vegeta and Raditz were off-world on a mission when Freeza destroys their planet. 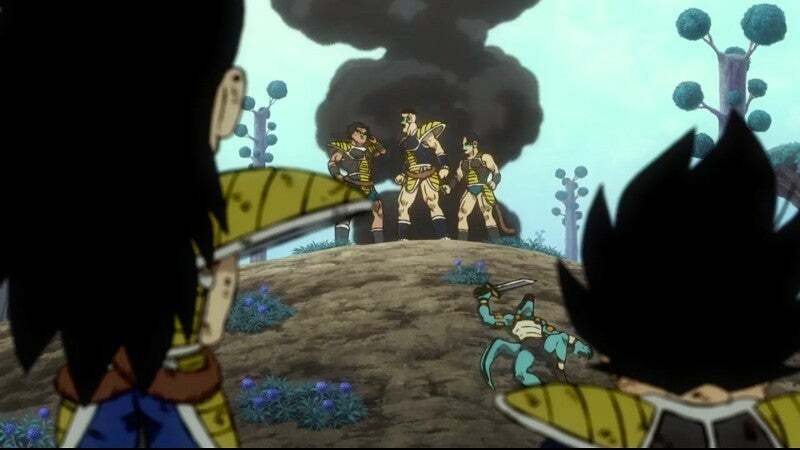 The scene shows that Nappa was with Vegeta at the time - as were other Saiyan warriors that were part of the Prince's crew. Between Broly and Paragus, the members of Vegeta's squad, and Goku's escape to Earth, Broly confirms more than a few Saiyans survived, leaving plenty of room in the franchise for other "Lost Saiyans" to pop up later. It's now official that Goku comes to earth in "Age 737", which was the date given in various Dragon Ball guidebooks and other auxiliary materials. 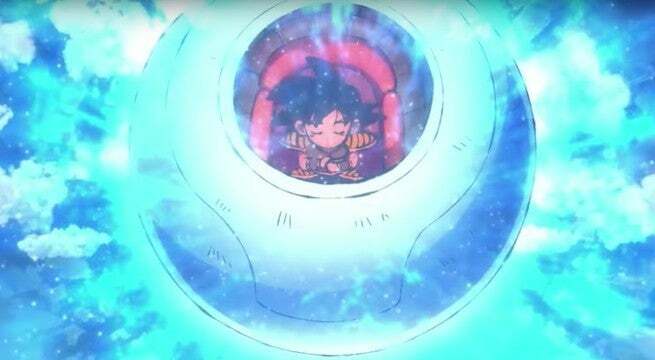 Going with the Minus influences, Goku is also a young boy (instead of a baby) when he was shipped off to Earth. Super Saiyan God has become a somewhat muddled aspect of Dragon Ball Super's lore, as other transformations like Legendary Super Saiyan and Super Saiyan Blue have stolen a lot of thunder from SSG. Dragon Ball Super: Broly uses the legend of the Super Saiyan God as backdrop for why Broly is exiled, and why Planet Vegeta gets destroyed by Freeza. However, when the legend comes alive during Broly's fight with SSG Goku and SSG Vegeta, the prophesied Saiyan transformation reveals some new powers we haven't seen before! 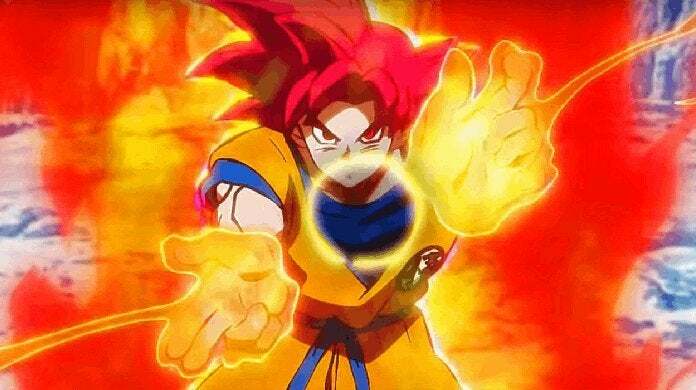 The biggest move that will stick with fans is no doubt Goku using his godly ki to ensnare Broly in some kind of ki energy force field. It seems there's still much more to learn about SSG and its powers, which are now at the center of the new Dragon Ball Super manga story arc! Dragon Ball Super: Broly is a showcase of the series' various powers and transformations, with SSJ, SSG, SSB, and Fusion all being included in Goku and Vegeta's epic battle with Broly. However, the film also opens the door to Super Saiyan 4 being adapted into canon. Broly's unique power is described as stemming from his ability to channel the power of a Great Ape through his human form. That's basically a description of Super Saiyan 4, without actually naming it. Since SSJ4 was a non-canon invention of Dragon Ball GT, that's a big change! Ironically, even though Gogeta has been one of the most iconic figures in Dragon Ball for decades, he's never actually been an official part of canon... until now. Dragon Ball Super: Broly finally has Goku and Vegeta learn and perform the Fusion Dance, and they fail miserably several times before getting it right. The final battle between Gogeta and Broly is therefore not just an epic showdown - it's two major figures of the franchise finally staking their respective claims to canon! 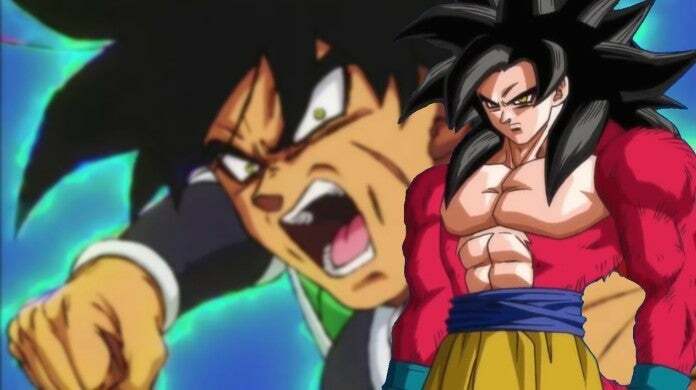 Dragon Ball Super: Broly is very much a standalone story, but it does take some time to tease where the series canon is headed next. In an early scene, we find out what Goku has been thinking (and more importantly planning) since the anime's Tournament of Power wrapped up. Goku has still been pushing himself hard in training, spurned on by the level of power he witnessed during the ToP. 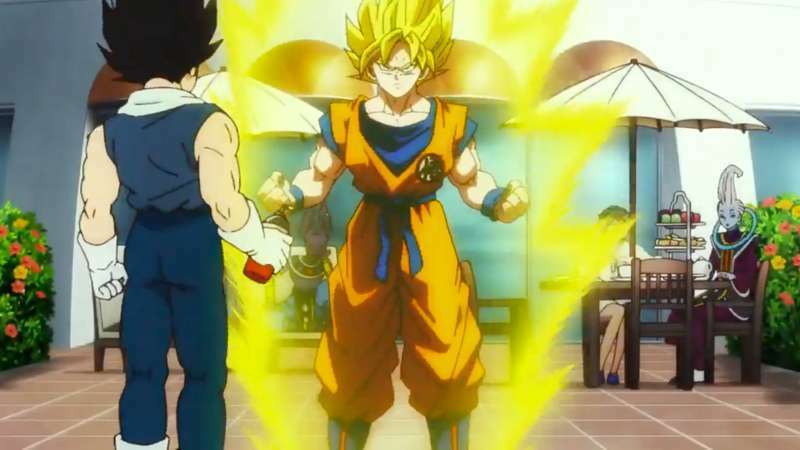 Based on what happens in Dragon Ball Super: Broly, it seems Goku is ready for a universal fight tour - including keeping Broly around as a sparring partner! Dragon Ball Super: Broly reveals one of Freeza's old forms (Young Freeza), but the film also teases that the Evil Emperor will soon have a new form to unleash against Goku, Vegeta and Earth. "You remember how much stronger Freeza was when he came back to Earth? What happens when he achieves a newer form?" Freeza doesn't get the chance to evolve in this movie (thanks to a beatdown from Broly), but given all he saw during the ToP, including Goku's new Ultra Instinct power, it's only a matter of time before he goes beyond gold! Did you spot any other expansions of canon in Dragon Ball Super: Broly? Let us know in the comments!